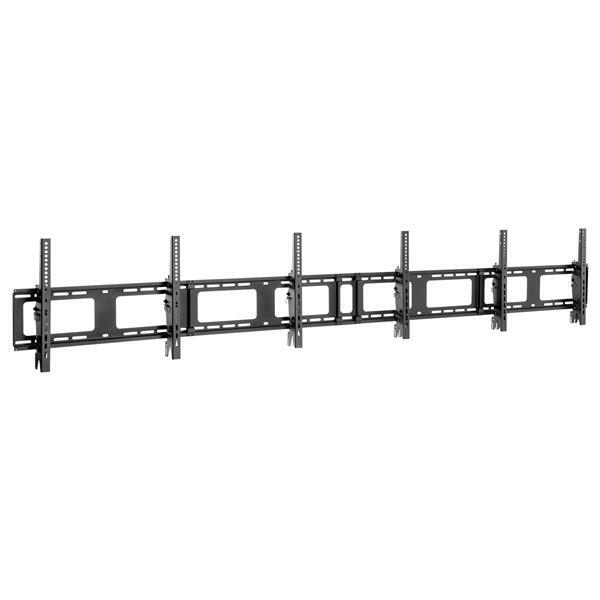 Create a perfectly aligned menu board with this triple-display TV wall mount for 40” to 50” displays. 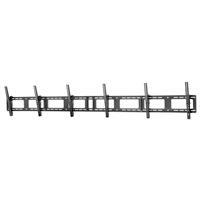 The modular wall-mounting system is easy to set up. Adjust the tilt for all three displays at the same time, and fine-tune the screen level with ease. Digital menu boards are a great way to increase customer sales, promote new offerings, and inform customers at the point of sale. 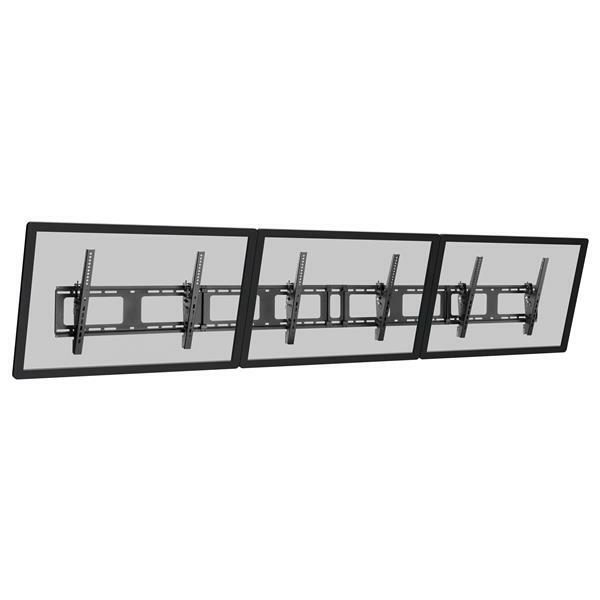 Ideal for restaurants, retail stores and many other businesses, this professional-grade menu board mount supports three 40” to 50” VESA mount TVs in landscape position. It supports a weight capacity of 110 lb. (50 kg) per display, and is compatible with VESA 200x200, 300x200, 300x300, 400x200, 400x300, 400x400, and 600x400. 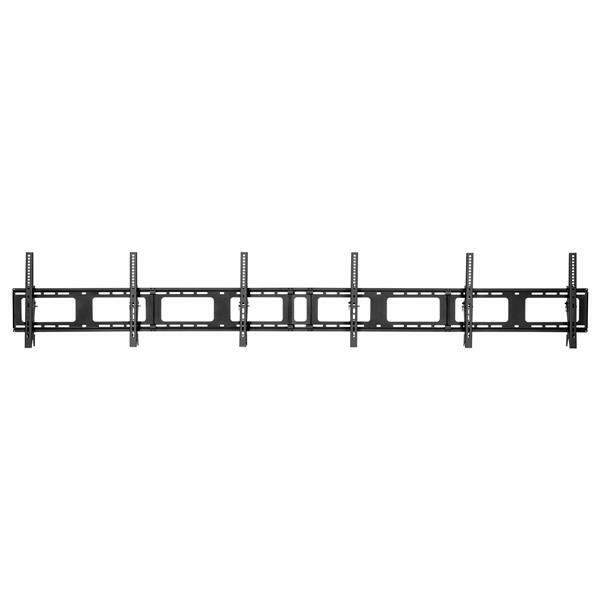 For optimum viewing, you can adjust the tilt of all three displays to the same angle simultaneously, without using tools. 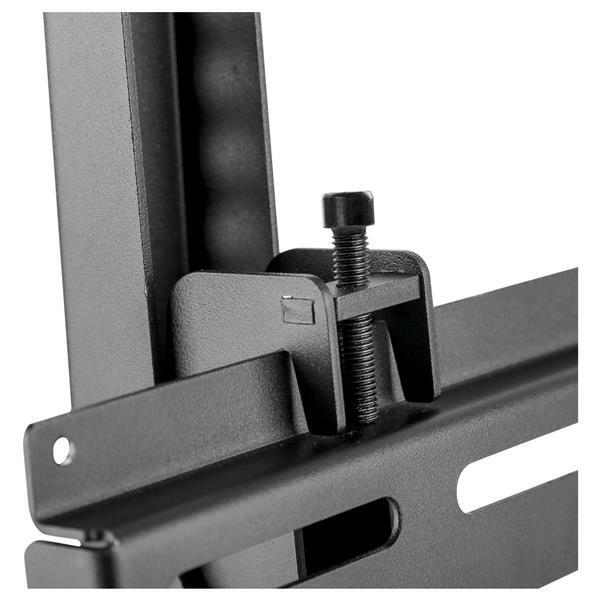 The multi-screen mount has five fixed tilt settings: 0/-5/-10°/-15°/-20°. To ensure precise alignment of all three TVs, you can fine-tune the level of the displays +3° to -3° using the micro height adjustment feature. 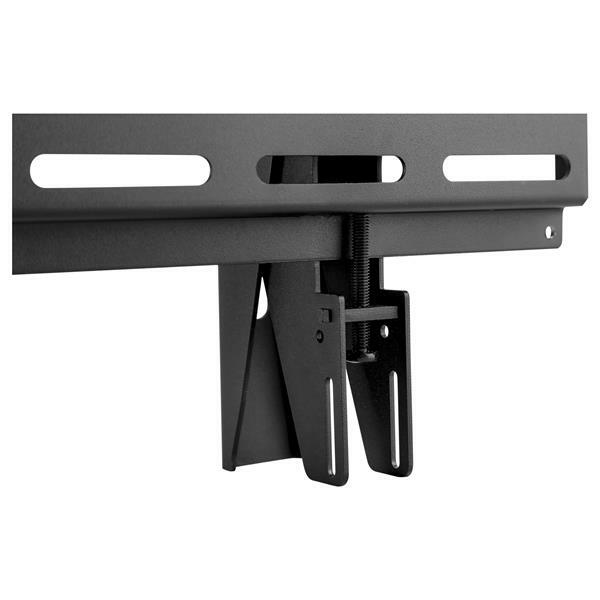 With its heavy-duty steel construction, the triple-monitor wall bracket provides durable performance. Save time on setup. 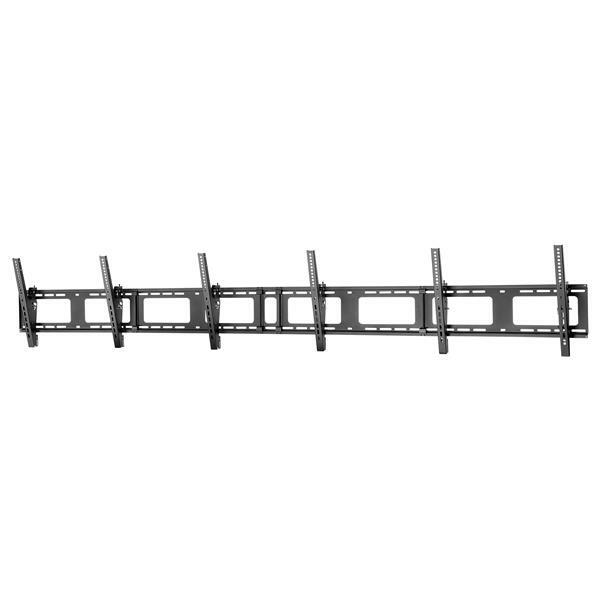 The hook-and-mount design of the triple-display wall mount makes installation fast and easy. FPWMNB is backed by a StarTech.com 2-year warranty and free lifetime technical support.